Fourteen plaques are displayed on a wall in a spacious room in the Roslyn Highlands firehouse. 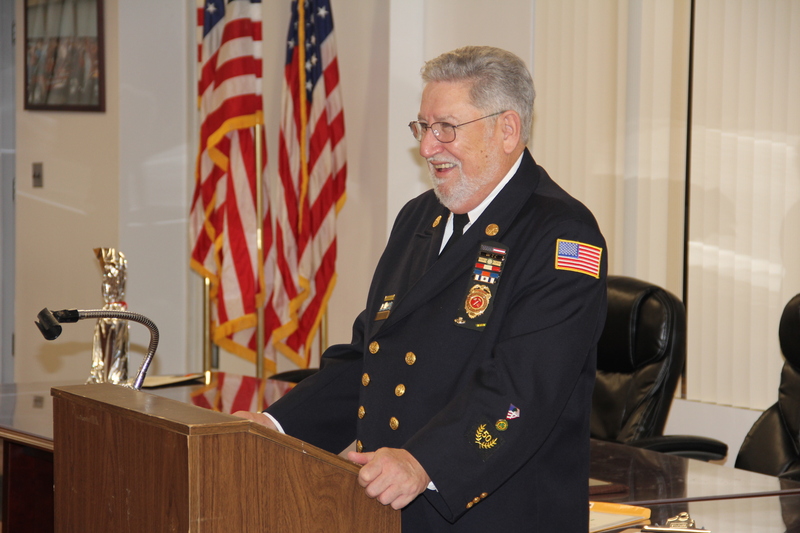 Each features a volunteer, commemorating his 50th year with the department. Last Sunday, Barney Murtagh joined their ranks. People of all ages clad in the Roslyn Highlands navy jacket and matching cap gathered to celebrate the company’s past president in the firehouse Monday evening. Murtagh spearheaded the effort to get a financial reward program for the company’s volunteers called the Length of Service Awards Program. He then oversaw it for almost 20 years. Serving in a fire department for 50 years taught him everything he needed to know about togetherness, Murtagh said. 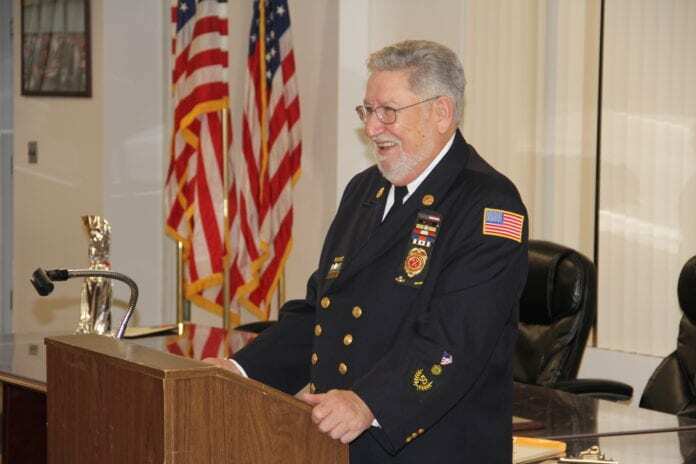 Volunteer fire departments are the “last great fraternal organization,” his nephew Michael Murtagh, the department’s recording secretary, said. Perhaps that’s why some people stick with it for 50 years, he said. “The reason we’re still around is because of that lasting legacy – passing these things on from father to son, uncle to nephew, neighbor to neighbor,” Michael Murtagh said. 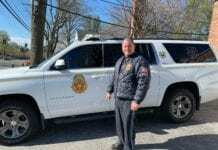 But firefighting is also often commonly treated as an extension of military service, Barney Murtagh said – the thing to move on to when returning home. That’s how he got involved. He was a member of the U.S. Navy for almost for four years. 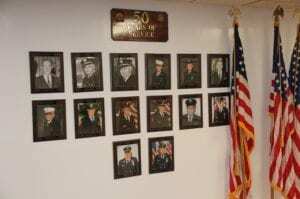 He joined Roslyn Highlands, his local fire station, in 1969 after returning from service in Vietnam a few months prior. It would be years before women and people of color began joining the department’s ranks, he said, but when the department began to diversify a couple decades ago it was nothing but an asset. The length of service program encouraged members to stay when many had been moving out of the area because of the cost of living, Murtagh said. Barney Murtagh rose within the ranks of Roslyn Highlands, eventually becoming president in 1987. He kept the role until 1989 and then briefly returned to it again in 1991. 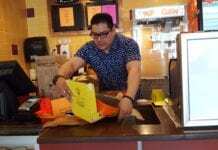 He also separately served the Roslyn Water District for 30 years, where he was a treatment plant operator and the water service supervisor, he said. 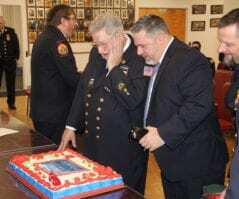 Now Barney Murtagh is the “pre-eminent elder statesman” in the Fire Department, his nephew said. For the past 26 years he has remained the company’s most recent former president, the go-to for stepping up if needed, Michael Murtagh said. Barney Murtagh is “the authority” on procedure, retaining insight into the station’s history that many young members never witnessed, he said. Roslyn Highlands Volunteer Fire Co.